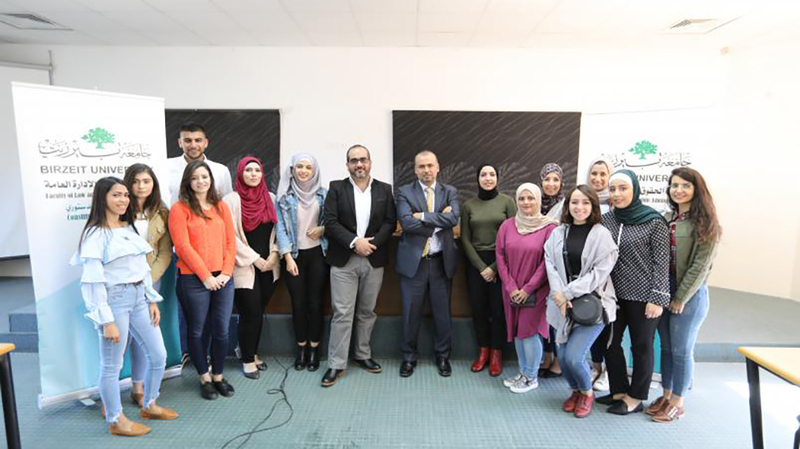 The Constitutional Law Unit in the Faculty of Law and Public Administration at Birzeit University held a meeting for the first group of students accepted in the Promising Researchers program on Saturday, November 3, 2018. Promising Researchers presents recent graduates as well as third- and fourth-year students with the opportunity to work with law professors and experts on legal research published under the Constitutional Law Unit. 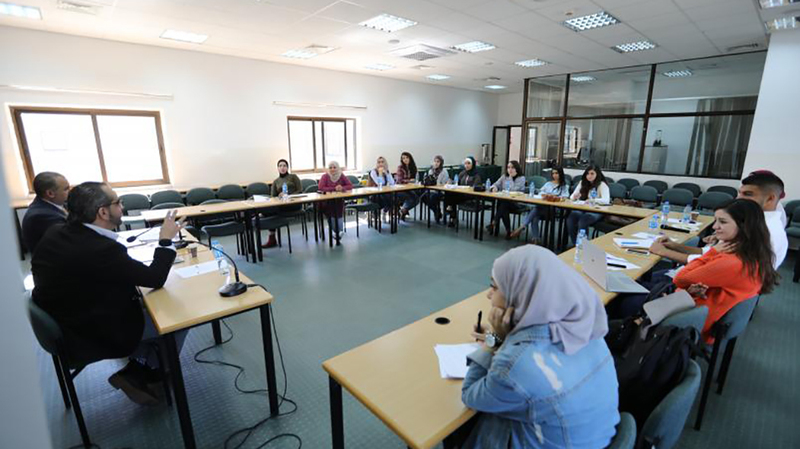 The program also includes a number of activities focused on legal studies and legal research, such as symposiums and discussion sessions on topics in constitutional law and the common law, discussions on common law books, and workshops that cover research skills. The Constitutional Law Unit has released the names of the trainees accepted in the “Promising Researchers” program for the 2018/2019 academic years: Adam Aghbar, Ashwaq As’ad, Alaa’ Taim, Angham Abu Ali, Batool Malitat, Tamam Jabir, Hilwa Jaber, Shurouq Salameh, Shireen Safi, Sabha Othman, Duha Hassouneh, Murooj Al-Dahab Rayhan, Najwa Mu’adi, and Yara Jabareen. 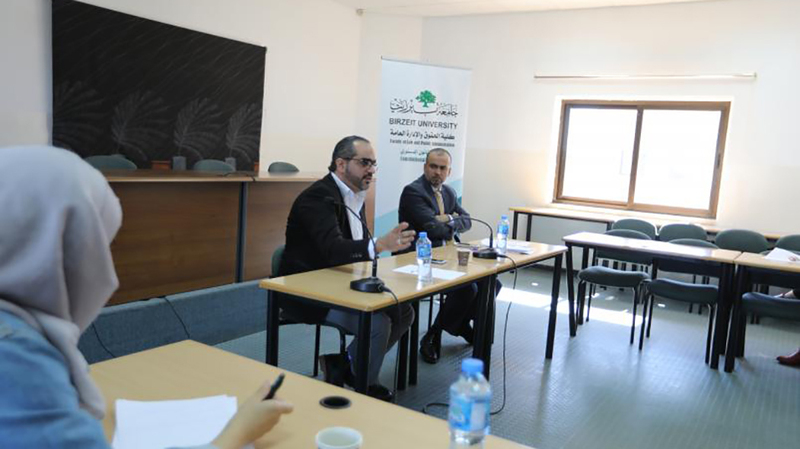 For students interested in the “Promising Researchers” program, you can apply for the 2019/2020 academic year by sending an email to const-law.flpa@birzeit.edu.